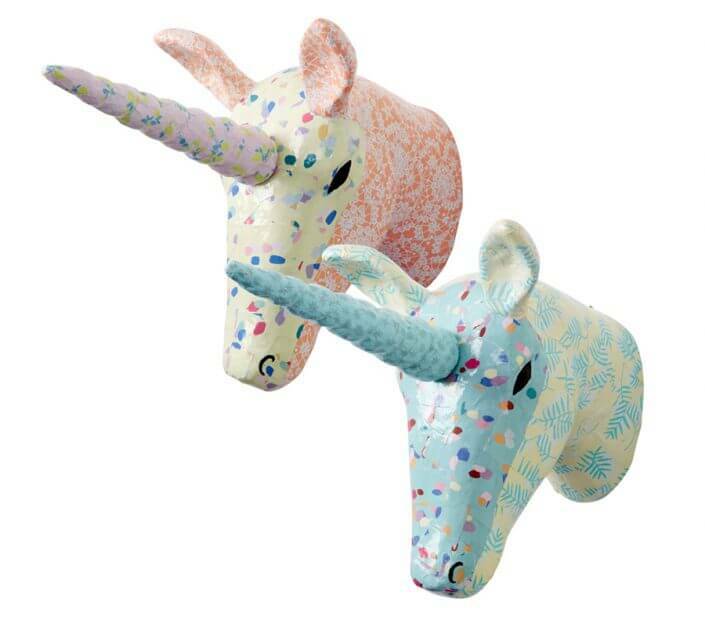 The unicorn has symbolised freedom of spirit since ancient times – a rare and precious creature that’s timid and not easily tamed. 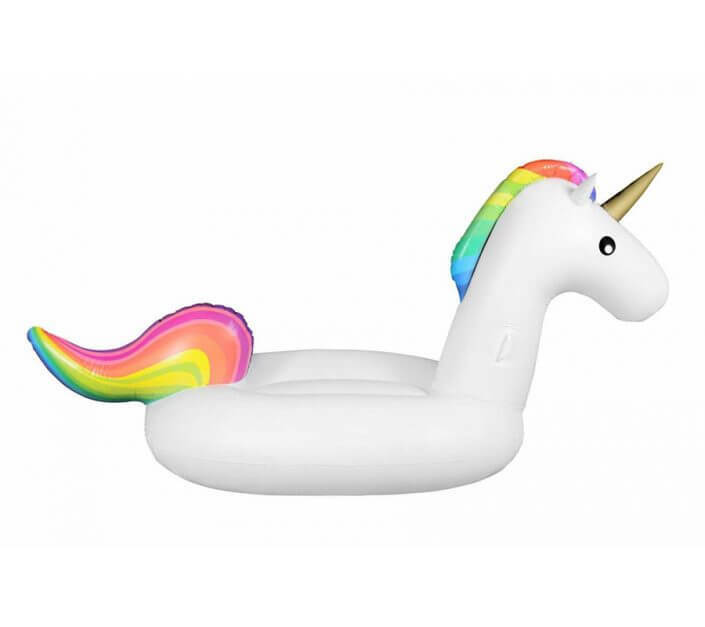 But who would have thought that this mythical being would make such a comeback in our 21st century world, emblazoned across chocolate bars, shower gels and accessories geared to grown-up men and women? 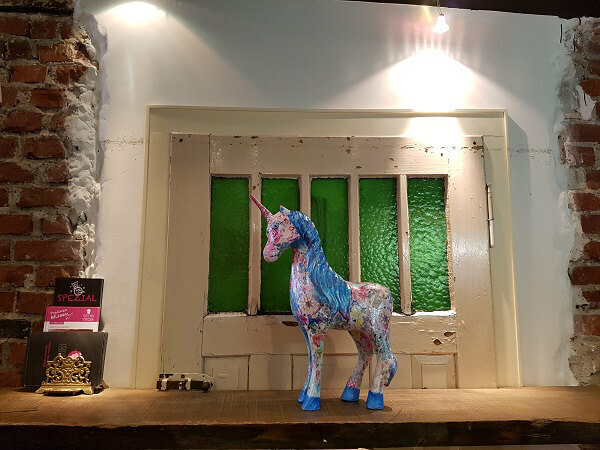 Our colleague Nadine Rausch has been investigating the unicorn trend and has put together some recommendations for unicorn fans visiting Cologne. 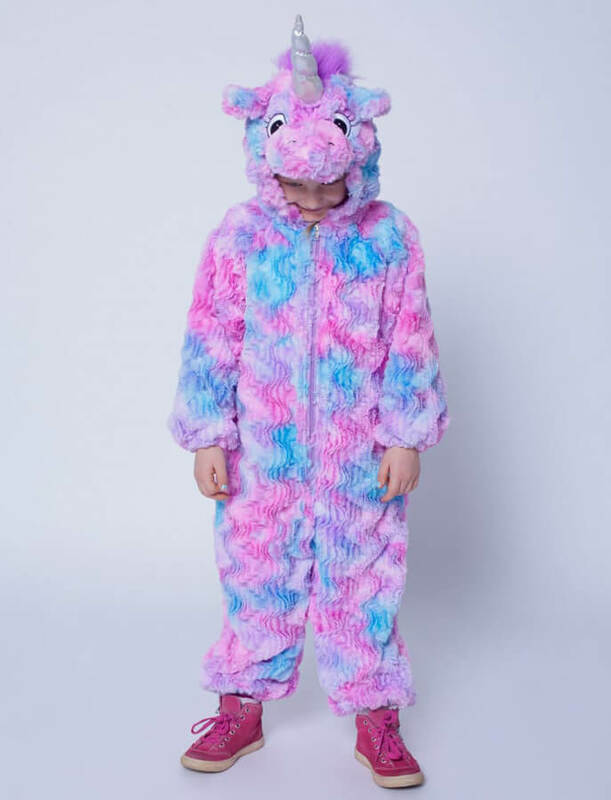 A dream come true for unicorn fans – the opportunity to make your own unicorn. 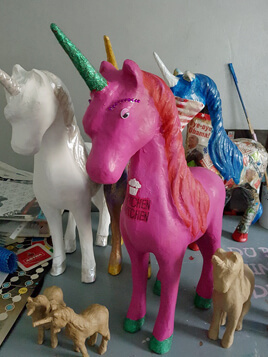 Join artist Anita Ranzan for a workshop at the TörtchenTörtchen patisserie, where you can create your perfect unicorn and enjoy an exquisite snack or two from the patisserie’s selection. 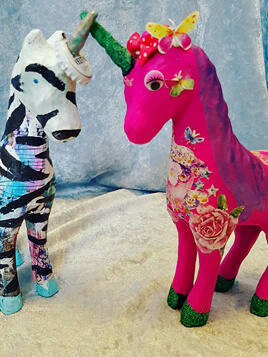 If you’d prefer to buy a unicorn designed by the artist herself instead, you’ll find Anita’s works on sale at Galerie Grevy in the south of the city. 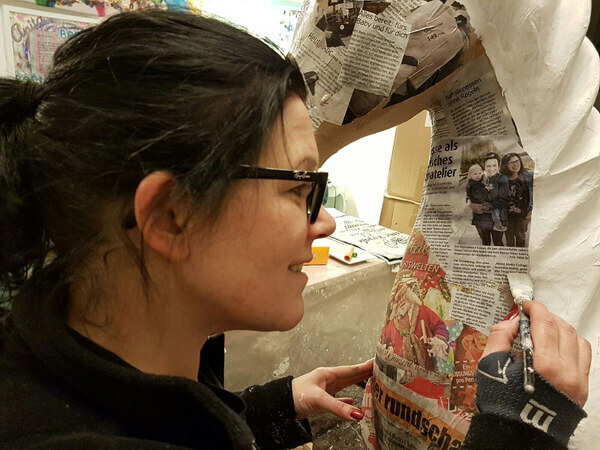 There’ll also be a chance to take your very own unicorn selfie at the Dorint Hotel am Heumarkt on 1 May, when a life-size unicorn created by Anita will be on show in the lobby. 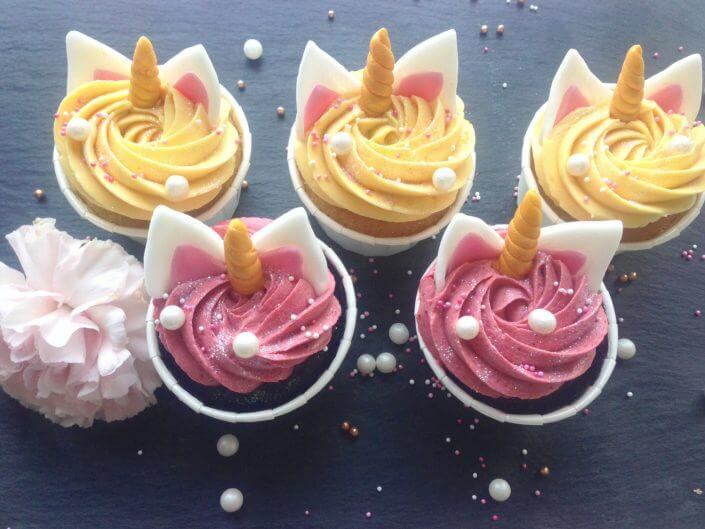 For the sweet-toothed unicorn fan, Pennycakes in Müngersdorf has the perfect idea – a unicorn cake course. You’ll learn a whole range of icing techniques and get to show off your decorative skills. 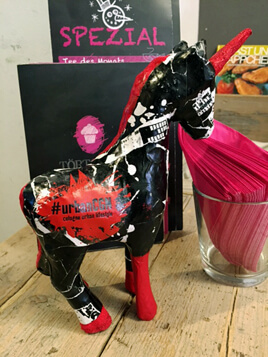 As if that weren’t enough, unicorn cupcakes are now a permanent fixture on the menu of this pretty little café, which is open Fridays to Mondays. 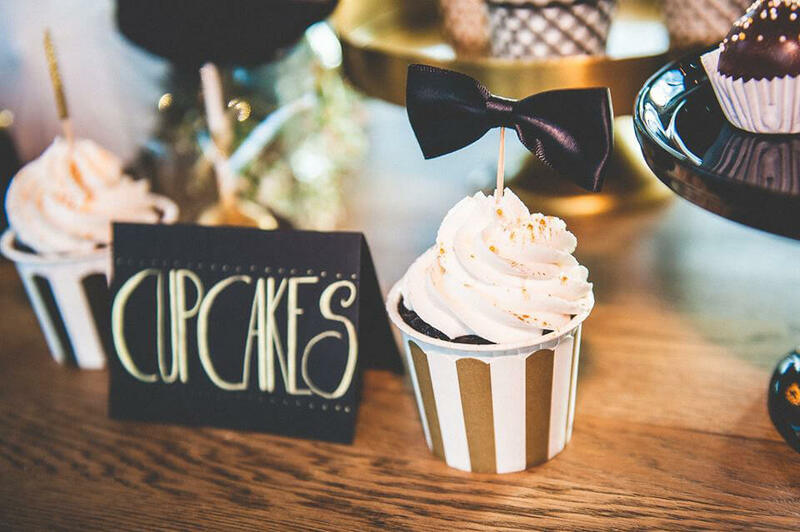 If you’re worried all those yummy goodies might go straight to your waistline, why not just dance the calories off again? 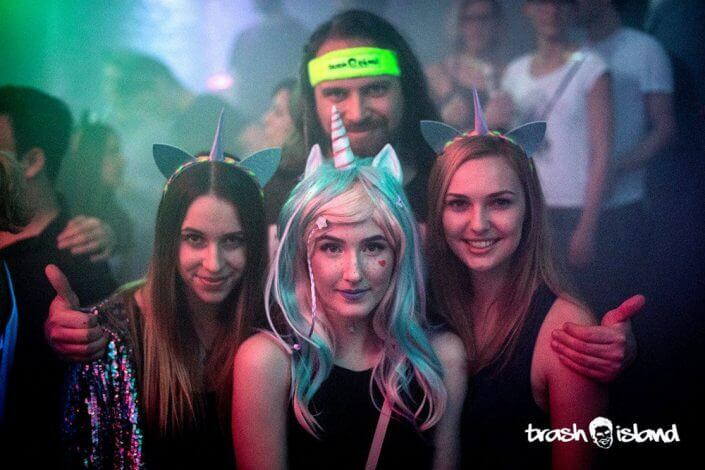 At the Trash Island Einhorn Party XL at E-Werk in Cologne’s Mülheim district, you can party the night away through a glittery world of unicorns and rainbows. If you’re looking for great unicorn accessories, head for the TakaTomo and Flying Fawn boutiques and the Elbenwald store. 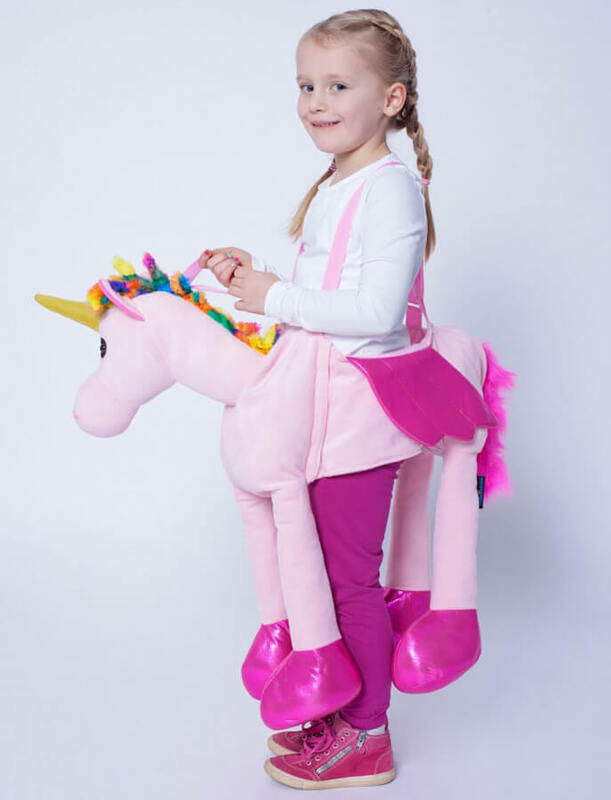 With everything from unicorn postcards, magic wands and paper plates to headbands and even airbeds, unicorn fans can shop to their hearts’ content. 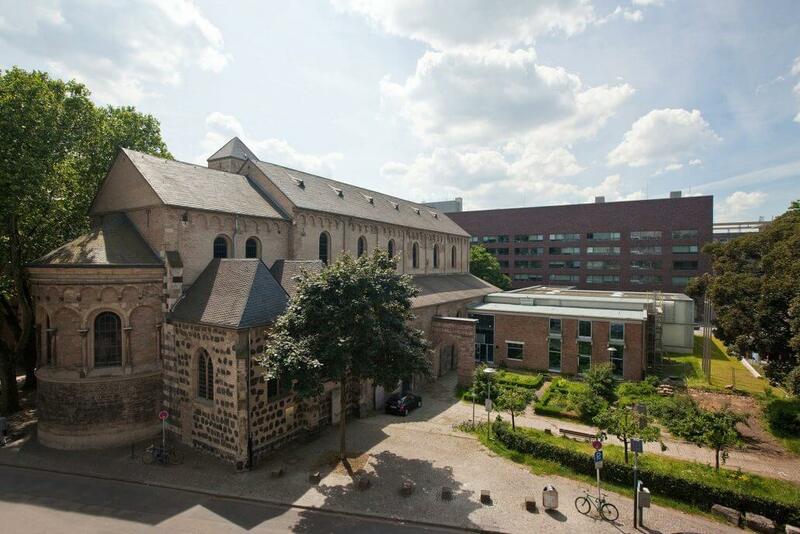 Cologne also something for unicorn-loving culture fans – a very early portrayal of the fabulous creature at Museum Schnütgen. This precious, 15th century cushion cover, entitled “The Lady and the Unicorn”, was inspired by the medieval belief that unicorns could only be tamed by virgins. 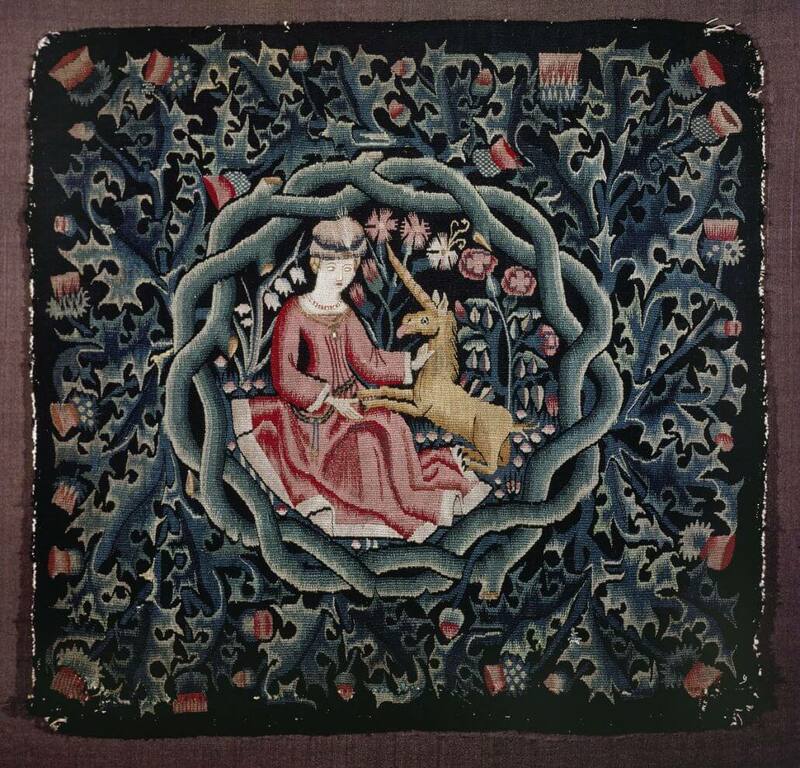 Once you’ve feasted your eyes on the unicorn, it’s worth taking a wander around the rest of the museum’s impressive collection of medieval art, including gold, ivory, textile and stained-glass works. 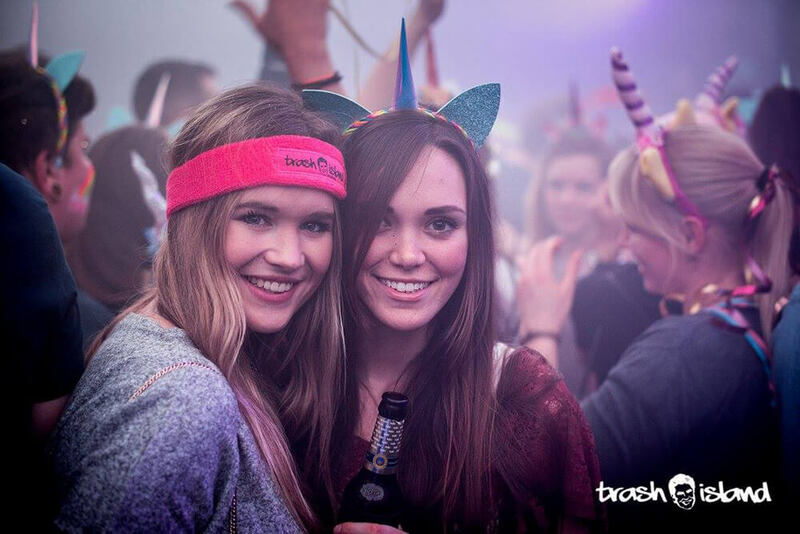 For the ultimate unicorn experience, head for one of Cologne’s carnival stores. 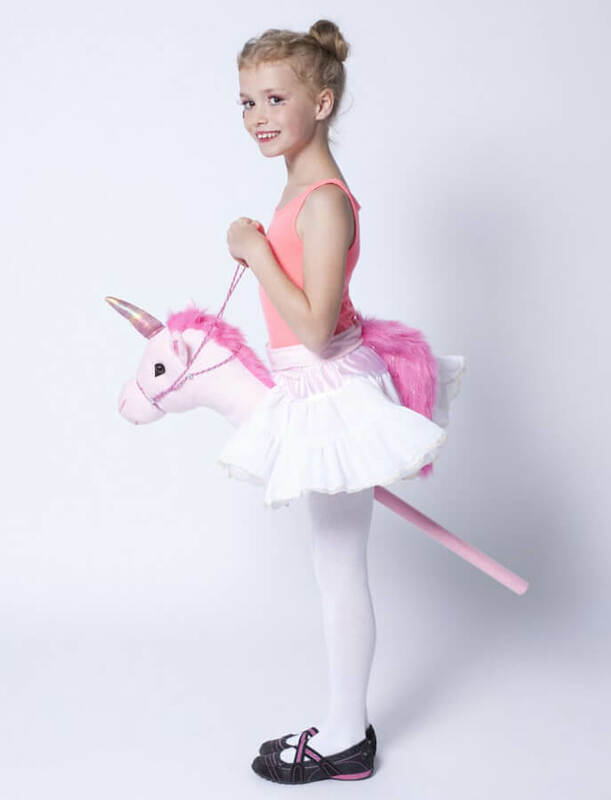 As well as furry unicorn costumes, they also have a wide selection of essentials like unicorn headbands, tulle and glitter for those looking to make their own costume – so you can really let your creativity run wild!